Why settle for run of the mill when you can have top of the line? 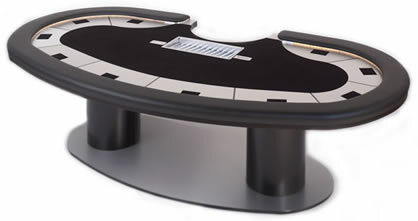 Big Slik poker tables deliver the experience of a luxury casino into your home. 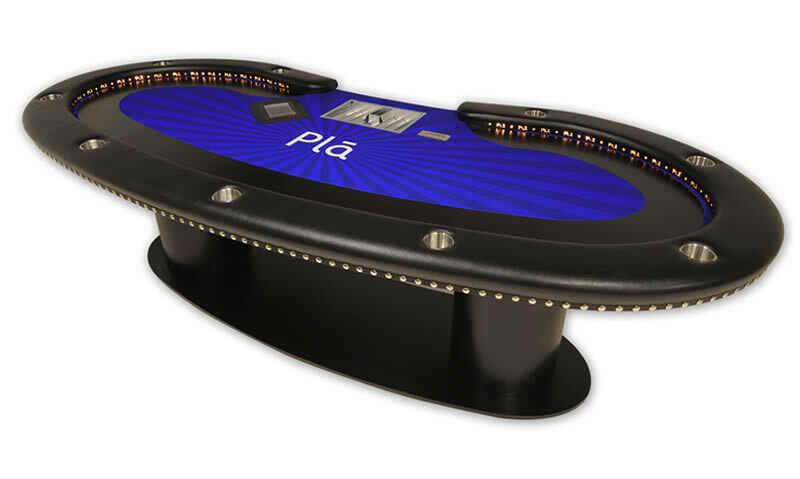 We are committed to enhancing your playing experience by offering you the highest quality casino-caliber tables. 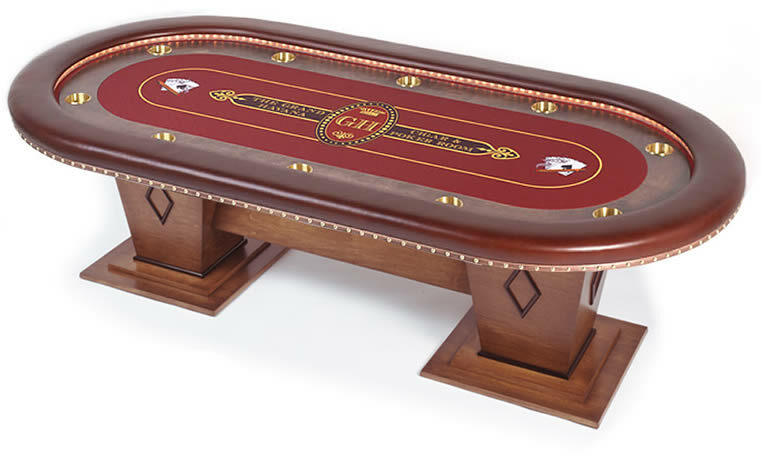 Big Slik custom-built poker tables are known for attention to detail and impeccable standards of quality. Choose from a wide range of custom table options or bring us your ideas and we'll work with you to build the table of your dreams. Whatever you choose, the finished table will reflect our high standards of craftsmanship and design. When you choose Big Slik, you draw the right cards - quality, service, selection, and value. Your ace in the hole? 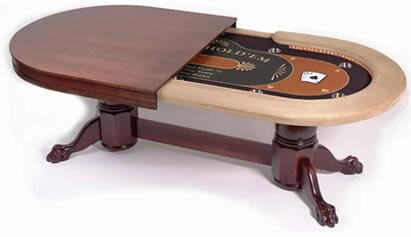 Our drive to produce the finest custom poker tables anywhere. When it's time to raise the stakes of your poker playing enjoyment, it's time for Big Slik.